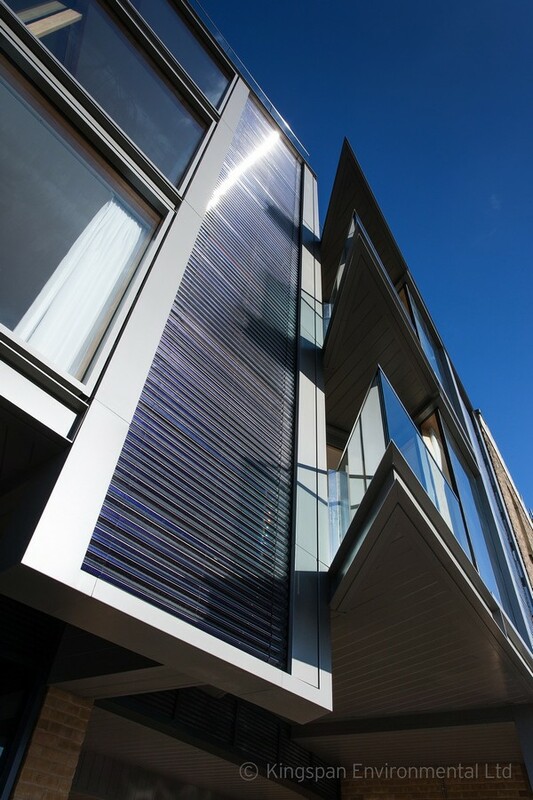 In marked contrast to more typically discrete installations of renewable energy technology, architect Nick Baker chose to celebrate the inclusion of solar collectors in his Camden development by placing them on the front of the building. The striking five-storey residential building in Delancey Street features a commercial unit on the ground floor and 14 residential flats on the upper floors. 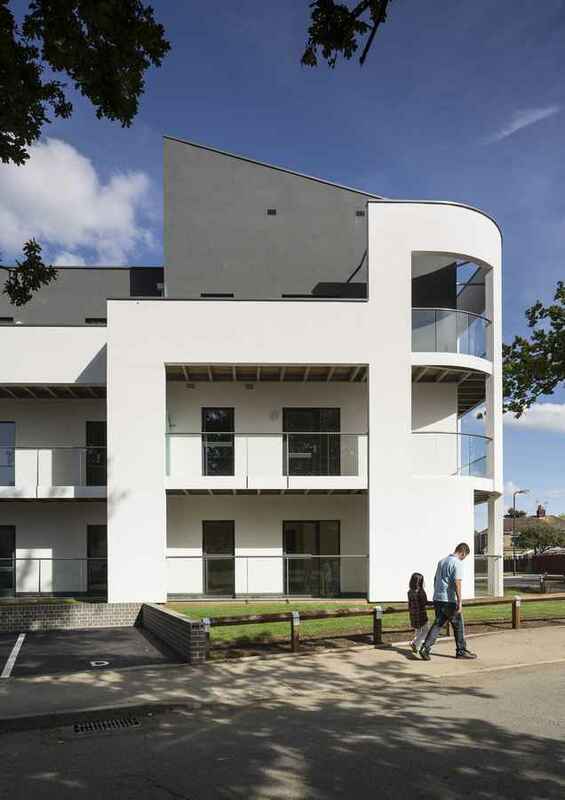 Sustainability is woven into the fabric, as well as the façade of the building, in order to achieve a Level 3 rating from The Code for Sustainable Homes. In all, there are 925 Kingspan Solar Varisol solar thermal evacuated tube collectors which hang in banks down the front and outer walls of the building, creating a unique and beautiful frontage which sits comfortably within a designated Conservation area. The specification for this new, and highly bespoke, renewable energy installation was done by Kingspan’s in-house designers and engineers. A particular consideration was the design of the front of the building and the nature of the space to be used. Where solar panels and tubes are typically laid on a flat surface, at Delancey Street the south/south-west side of the building is curved. The first problem, the curvature, was overcome by placing the collector tubes within six vertical banks. The second, and potentially more pressing concern, was the irregular space which each bank needed to exactly fill to complete the building’s unique façade. Here, the adaptability of Varisol solar thermal collector tubes comes into its own. They are custom-made to fill unequal or bespoke spaces through their clever modular design. Normal manifold collectors hold a specific number (20 or 30) of tubes in rigid panels, making them highly inflexible. But the number of Varisol collectors tubes can be varied to ensure that the installation exactly matches the size of the space to be filled. They are also highly durable, making them an ideal choice to ‘put on display’. Thus, in Delancey Street, the final facade incorporated four banks of 175 solar collector tubes, one bank with 133 tubes and one bank with 92 tubes. And just to complete the look, the polymer ends of the tubes were encased in a smart metal cover, leaving just the glass collectors to catch the sun as well as eye. The Kingspan Solar engineers also had to consider the secure fixing of the collector tubes to the building’s insulated front walls. They liaised closely with their counterparts at Kingspan Insulated Panels who had supplied the high-spec Benchmark Karrier panels. Drilling into the panels was not an option because of the irreparable damage it would have done, severely compromising the insulating performance. 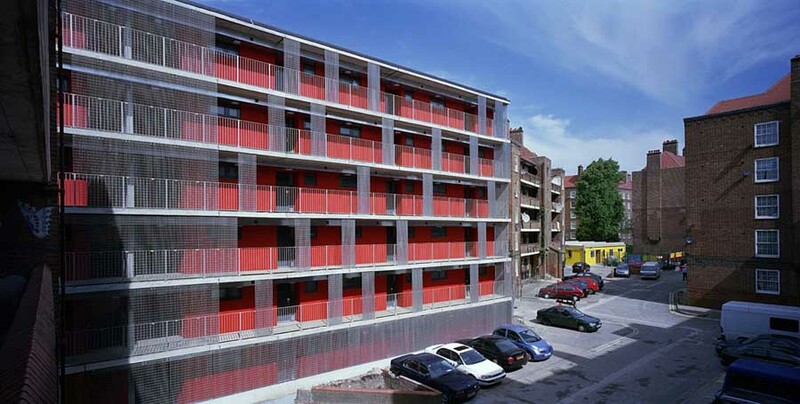 Instead, specially developed brackets were designed by Kingspan engineers to secure the solar tubes, leaving the panels structurally unaffected. Simon Bonfield, Kingspan’s Specification Manager, advises: “The precision with which our installers could place the Varisol tubes as an integral part of the building’s design was vital in this development. The result is so striking it stops traffic in the area. The installation is eligible for the Non-Domestic Renewable Heat Incentive (RHI) payments, the Government scheme which provide financial subsidies for renewable heat technologies for the lifetime of the installation (20 years). Payments are based on the amount of heat generated per kilowatt hour (kWth); solar installations such as Delancey Street will generate a guaranteed payment of 10p per kWth. The development has been named ‘Solstice Point’- which is quite fitting as it was installed by Solstice Energy Ltd and its sister company Solstice Heat Ltd – with one of the inner courtyards called ‘The Solar Park’. The same ethos of solar thermal functionality and design has also been used in other countries, including Lane Community College in the United States where Kingspan Solar Varisol evacuated collector tubes are arranged to provide shading in the summer to assist the passive cooling of the building while generating heat for hot water and giving privacy to the multiple floors of the lobby. In Switzerland, 124 Varisol DF split into rows of 11 and 9 tubes were again sized exactly to fit within a limited area in a three-storey building and are completely integrated into the structural design – as the balcony balustrade.